Although women are not a minority, we are among the “traditionally under-served” as farmers by the colleges, universities and government agencies supporting farmers. Lisa Kivirist is a national advocate for women farmers and the co-author of several books on earning a living from rural enterprises. In this book, Lisa combines years of her own experience with gems from other women farmers she knows. Full disclosure – I am one of the women farmers she interviewed. She farms in Wisconsin and I farm in Virginia. We meet up from time to time at Mother Earth News Fairs, where we are sometimes speakers. 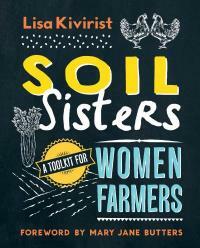 Soil Sisters is specifically about the experience of women in farming. Whenever Patricia Schroeder, Colorado’s first Congresswoman (1973-1996) was asked why she was “running as a woman”, she replied “What choice do I have?” Similarly, women farmers deal with all the issues of farming (hard physical and mental work, the weather, the need to earn a living) the same as male farmers do, along with the challenges of attitudes from some people about women doing what some see as “men’s work” and the cultural challenges of perhaps being raised with too many clean frilly dresses and not enough toy wheelbarrows and construction kits. This book has four main sections: the history and reality of women in farming; how and where to gain farming information; running a farm, sustaining the soil and the bank balance; and cultivating balance for mind, soul and body. Because Soil Sisters gathers together a wide range of information relevant to women, I think all women farmers will find something uniquely valuable here, whether it’s information about ergonomic tools, insight into a different approach to a challenge or a pervading sense of support and encouragement. 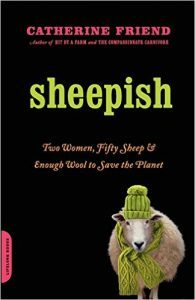 Sheepish: Two Women, Fifty Sheep, and Enough Wool to Save the Planet and Hit by a Farm: How I Learned to Stop Worrying and Love the Barn. I’m adding those books to me Winter Reading List! The gender inequity in farming arises from the long story of women being legally barred from owning property or voting. From the history section I learned that married women could not own the income they earned from farming in one third of the states as late as 1887. Legally, this changed for the better in the 1900’s, but custom prevented wide acceptance of the law. As often the case, situations were even worse for women of color. During the First World War, 20,000 women joined the Women’s Land Army of America and, as Lisa puts it, “blend[ed] patriotism with planting parsnips.” The vote came for women in 1920. 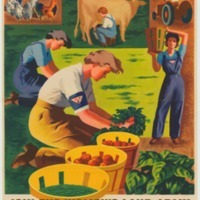 The WLAA revived during the Second World War with the Victory Garden program. The Census of Agriculture only started counting women farmers in 1978. Women farmers were outliers. One pioneer, Denise O’Brien, founded the Women, Food and Agriculture Network, to promote the voice of women in farming. In the chapter about complementary on-farm enterprises, you can read all about unusual crops and livestock, selling crafts and home-made foods (whether in a commercial kitchen or under the Cottage Food Laws), running a B&B, farm events for the public. To balance wild dreams, here is information about the cottage food laws, when you need a food service license, what you need to know to serve food on your farm. The Tool Shed icon brings info about affordable legal help from Nolo and Legalzoom as well as finding tax, financial and marketing info. Lisa recommends Building a Sustainable Business: A Guide to Developing a Business Plan for Farms and Rural Businesses, free online or from SARE. Lisa takes us through the seven Ps of marketing: Product, Price, Place, Promotion, People, Partnerships and Purpose. She discusses the current options for online marketing, and stresses the importance of being open to new technological developments with “continuing to grow that encyclopedia in your mind”. beginning to suffer the challenges of an aging body. Train year-round, balance physical activities on the farm with other sorts of workouts, yoga, stretches and strength-building routines. Buy tools designed for women’s bodies from Green Heron, use correct lifting techniques every time (see the Green Heron website). The last section of the book includes four topics that need addressing but didn’t fit in earlier: Improve communication with men (at the feed store, government agency etc), Fit in, Find your tribe, Integrate your family into your lifestyle. On the topic of improving communication with men in the traditional male farmer domain, Lisa encourages us to use the Power Posing advocated by Amy Cuddy in her TED talk “Your Body Language Shapes who You Are”. In private, just before you’ll need to stand your ground, stand tall like Wonder Woman for two minutes, hands on hips. Weird as this may feel at first, over time, you notice it helping. Physiologically, doing this increases testosterone 20% and decreases cortisol by 10%, leaving us more assertive and also calmer. Integrating family and kids into the farm is not one of my areas of expertise, but I recognize it’s of vital importance to many women farmers. I remember in the 70’s, as a WWOOFer in England, being asked wistfully by the woman of the farm whether housework and childcare were more equally shared in intentional communities and the women got more time to farm. Yes, indeedy! 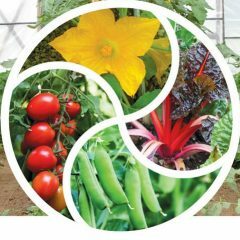 The section on creating balance advises being efficient with your time by looking to other small-scale farmers for answers in solving challenges. Claire Hintz suggests an idea that hadn’t occurred to me; farmers in Eastern European countries or Mexico or Central America are particularly inventive as they have less cash and fewer purchase options and have to create many items themselves. Type your challenging situation into Google Translate and try Spanish, Ukrainian or Slovakian. Copy the key word in that language into YouTube, and watch carefully. Now then, when you read the phrase “farmers in Eastern European countries or Mexico or Central America” did you picture women or men? There’s a good booklist of farm memoirs written by women. I’ve only read 5 of the 11 listed – more to add to my Winter Reading List! There’s an inspiring Working Manifesto that Maisie Ganz wrote for Soil Sisters Farm, that she and Willow Hein live by. There are tips from Kriss Marion, a “forty-something farmer” on staying fit and eating healthily. Don’t snack on lunchmeat sandwiches between tasks! Track your food input on WebMD – “You first, then the farm.” Kriss runs a “farm girl boot camp” Facebook page where she shares fitness and health tips. Kriss Marion on her tractor. Fall broccoli undersown with a mixed clover cover crop. Here’s some leads to some summer reading on gardening and farming. 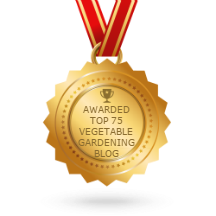 First, my blog post on the Mother Earth News Organic Gardening blog. It’s my third post in a series about intercropping (planting a second crop around or beside a first, to take over after the first crop finishes. In this case, I’m writing about undersowing cover crops in vegetable crops. 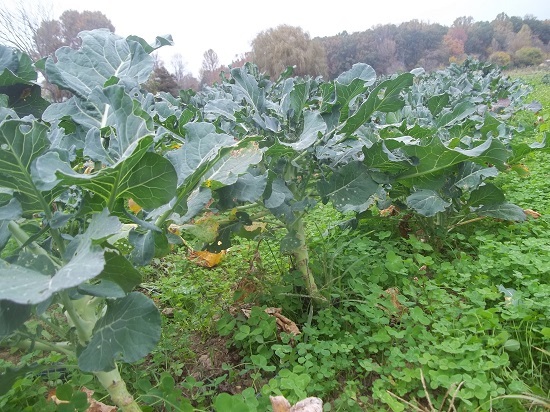 We like to undersow our fall broccoli and cabbage about 4 weeks after transplanting, with a mix of crimson clover, medium red clover and Ladino white clover. First we remove the rowcover or ProtekNet we have been using to keep the bugs off the crops, then cultivate with our BCS tiller or our Valley Oak wheelhoe. And hand hoes in the row. Then we broadcast the clover and hope for rain. (Huh! We’ve had plenty so far this summer!). If no rain, we use overhead sprinklers every other night for a week. The MEN blogpost includes other examples, advantages, challenges and so on. I just received the July/August edition of the Organic Broadcaster. Good thoughtful articles on keeping organic livestock healthy; why organic certification doesn’t have the same attractiveness it once had and what can be done to re-energize enthusiasm for the guarantees that certified organic brings; inspiring stories of mentors who are contenders for the MOSES Organic Farmer of the Year award; advice about getting crop hail insurance; dealing with pesticide drift, using mob grazing of cattle; strengthening the bonds between women farmers by holding potlucks; a review of Jean-Martin Fortier’s The Market Gardener; news about an open-source network of seed growers, plant breeders and researchers; an article about how climate change is impacting agriculture and lots of news snippets about resources, opportunities, reports, and tools for organic farmers; classified ads (bargains! ),and an events calendar. This paper is free, in either the electronic or the paper format. It’s based in the Mid-west, with information relevant to us all. 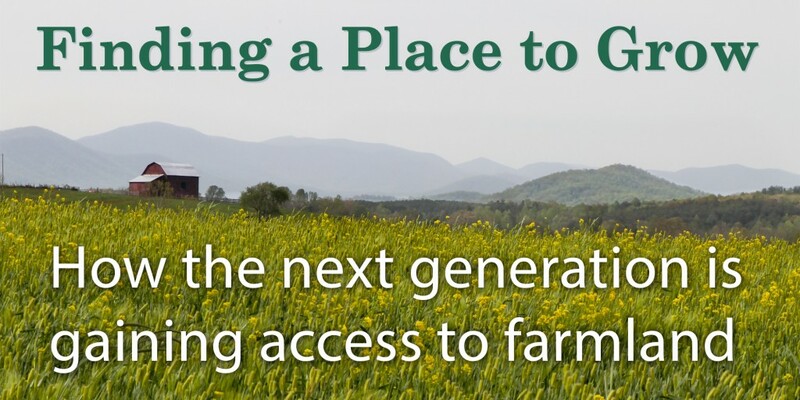 I recently heard from the Piedmont Environmental Council about a publication containing eight stories of beginning farmers and landowners working together to craft affordable leases that enable committed new farmers to establish themselves in farming, and landowners to put land they are not using into good hands. You can read the stories online or Download the PDF. 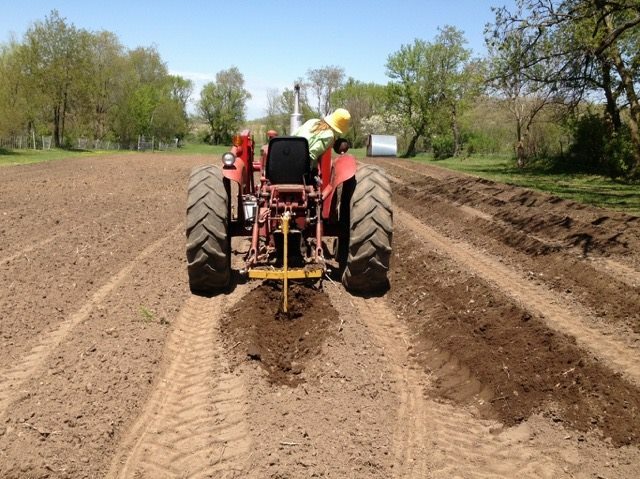 Finding a Place to Grow: How the Next Generation is Gaining Access to Farmland. and finally there’s the story of Willowsford, a planned neighborhood including a working farm to grow food for the development’s residents and others. So, if you or your friends are hoping to start in farming but can’t afford to buy land, here are ways to farm without ownership – although still with commitment, hard work, variable weather and all the ups and downs of dealing with real live plants or animals.